I've had Magic Mountain on the mind lately. 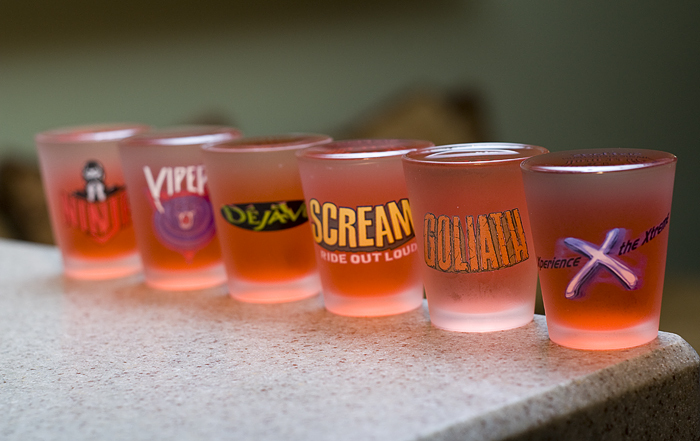 I decided to bust out my SFMM shot glasses and photograph them. I initially had them filled with just water, but it lacked color, so I added drops of Grenadine to make them look more interesting.